"a landscape designed and created intentionally by man"
an "organically evolved landscape" which may be a "relict (or fossil) landscape" or a "continuing landscape"
an "associative cultural landscape" which may be valued because of the "religious, artistic or cultural associations of the natural element." The concept of 'cultural landscapes' can be found in the European tradition of landscape painting. From the 16th century onwards, many European artists painted landscapes in favor of people, diminishing the people in their paintings to figures subsumed within broader, regionally specific landscapes. The word "landscape" itself combines 'land' with a verb of Germanic origin, "scapjan/ schaffen" to mean, literally, 'shaped lands'. Lands were then considered shaped by natural forces, and the unique details of such landshaffen (shaped lands) became themselves the subject of 'landscape' paintings. The geographer Otto Schlüter is credited with having first formally used “cultural landscape” as an academic term in the early 20th century. In 1908, Schlüter argued that by defining geography as a Landschaftskunde (landscape science) this would give geography a logical subject matter shared by no other discipline. He defined two forms of landscape: the Urlandschaft (transl. original landscape) or landscape that existed before major human induced changes and the Kulturlandschaft (transl. 'cultural landscape') a landscape created by human culture. The major task of geography was to trace the changes in these two landscapes. “The cultural landscape is fashioned from a natural landscape by a cultural group. Culture is the agent, the natural area is the medium, the cultural landscape is the result"
Since Schlüter's first formal use of the term, and Sauer's effective promotion of the idea, the concept of 'cultural landscapes has been variously used, applied, debated, developed and refined within academia, when, in 1992, the World Heritage Committee elected to convene a meeting of the 'specialists' to advise and assist redraft the Committee's Operational Guidelines to include 'cultural landscapes' as an option for heritage listing properties that were neither purely natural nor purely cultural in form (i.e. 'mixed' heritage). The World Heritage Committee's adoption and use of the concept of 'cultural landscapes' has seen multiple specialists around the world, and many nations identifying 'cultural landscapes', assessing 'cultural landscapes', heritage listing 'cultural landscapes', managing 'cultural landscapes', and effectively making 'cultural landscapes' known and visible to the world, with very practical ramifications and challenges. "Although the concept of landscape has been unhooked for some time from its original art associations .. there is still a dominant view of landscapes as an inscribed surface, akin to a map or a text, from which cultural meaning and social forms can simply be read." Within academia, any system of interaction between human activity and natural habitat is regarded as a cultural landscape. In a sense this understanding is broader than the definition applied within UNESCO, including, as it does, almost the whole of the world's occupied surface, plus almost all the uses, ecologies, interactions, practices, beliefs, concepts, and traditions of people living within cultural landscapes. Some Universities now offer specialist degrees in the study of cultural landscapes, including, for instance, the Universities of Naples, St.-Étienne, and Stuttgart who offer a Master of Cultural Landscapes diploma. 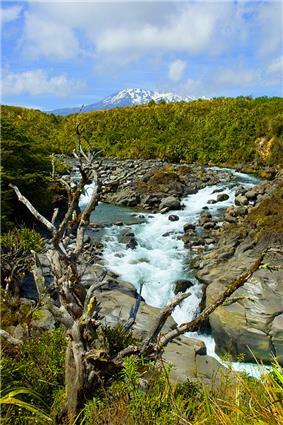 "In 1993 Tongariro National Park, became the first property to be inscribed on the World Heritage List under the revised criteria describing cultural landscapes. The mountains at the heart of the park have cultural and religious significance for the Maori people and symbolize the spiritual links between this community and its environment. The park has active and extinct volcanoes, a diverse range of ecosystems and some spectacular landscapes." "This park, formerly called Uluru (Ayers Rock – Mount Olga) National Park, features spectacular geological formations that dominate the vast red sandy plain of central Australia. Uluru, an immense monolith, and Kata Tjuta, the rock domes located west of Uluru, form part of the traditional belief system of one of the oldest human societies in the world. The traditional owners of Uluru-Kata Tjuta are the Anangu Aboriginal people." "In the 19th century Sintra became the first centre of European Romantic architecture. Ferdinand II turned a ruined monastery into a castle where this new sensitivity was displayed in the use of Gothic, Egyptian, Moorish and Renaissance elements and in the creation of a park blending local and exotic species of trees. Other fine dwellings, built along the same lines in the surrounding serra, created a unique combination of parks and gardens which influenced the development of landscape architecture throughout Europe". "The Ligurian coast between Cinque Terre and Portovenere is a cultural landscape of great scenic and cultural value. The layout and disposition of the small towns and the shaping of the surrounding landscape, overcoming the disadvantages of a steep, uneven terrain, encapsulate the continuous history of human settlement in this region over the past millennium." Hortobágy National Park is the largest continuous natural grassland in Europe, which means that it was not formed as a result of deforestation or river control. The first Hungarian national park (established in 1973), it is the country's largest protected area (82 thousand hectares). A significant part of it is Biosphere Reserve and a quarter of its area enjoys international protection under the Ramsar Convention on the conservation of wetlands. 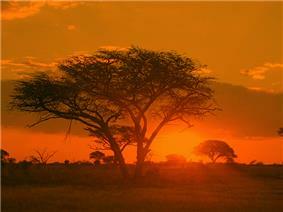 The area exhibits a profusion of distinctive rock landforms rising above the granite shield that covers much of Zimbabwe. The large boulders provide abundant natural shelters and have been associated with human occupation from the early Stone Age right through to early historical times, and intermittently since. They also feature an outstanding collection of rock paintings. The Matopo Hills continue to provide a strong focus for the local community, which still uses shrines and sacred places closely linked to traditional, social and economic activities. "The 18th- and 19th-century cultural landscape of Dresden Elbe Valley ... features low meadows, and is crowned by the Pillnitz Palace and the centre of Dresden with its numerous monuments and parks from the 16th to 20th centuries. The landscape also features 19th- and 20th-century suburban villas and gardens and valuable natural features." This landscape was struck from the World Heritage list in 2009, due to the construction of a four lane highway across the Elbe. The UNESCO, it reflects "an idealized fusion between humans and nature." "The West Lake Cultural Landscape of Hangzhou, comprising the West Lake and the hills surrounding its three sides, has inspired famous poets, scholars and artists since the 9th century. It comprises numerous temples, pagodas, pavilions, gardens and ornamental trees, as well as causeways and artificial islands." ^ HABER, W (1995) Concept, Origin, and Meaning of Landscape. 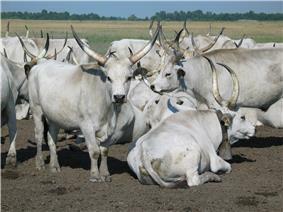 UNESCO's Cultural Landscapes of Universal Value: Components of a Global Strategy. UNESCO, New York. Pages 38-42. ^ a b c FOWLER, P.J (2003) World Heritage Cultural Landscapes 1992 - 2002. UNESCO World Heritage Centre. Paris, France. ^ Malig, Jojo (26 June 2012). 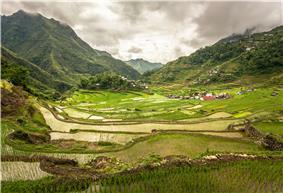 "Philippine rice terraces no longer in danger". 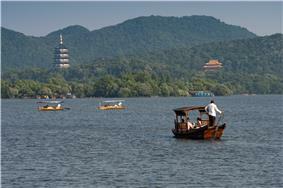 ^ Ancient Chinese cultural landscape, the West Lake of Hangzhou, inscribed on UNESCO’s World Heritage List. Conzen, M. 1993, ‘The historical impulse in Geographical writing about the United States 1850 1990’, in Conzen, M., Rumney, T. and Wynn, G. 1993, A Scholar's Guide to Geographical Writing on the American and Canadian Past, The University of Chicago Press, Chicago, pp. 3 90. Denevan William M. 1992, The Americas before and after 1492: Current Geographical Research, Annals of the Association of American Geographers, Vol. 82, No. 3, pp. 369–385. Elkins, T. H. 1989. Human and Regional Geography in the German-speaking lands in the first forty years of the Twentieth Century, in J. Nicholas Entrikin & Stanley D. Brunn (eds). Reflections on Richard Hartshorne's The nature of geography, Occasional publications of the Association of the American Geographers, Washington DC. 17-34. James, P. E. and Martin, G. 1981, All Possible Worlds: A history of geographical ideas, John Wiley & Sons, New York. Sauer, C. 1925, The Morphology of Landscape, University of California Publications in Geography, 22:19-53.